MFE (2016). New Zealand’s Greenhouse Gas Inventory 1990–2014. Ministry for the Environment, Wellington, New Zealand. MFE (2008). New Zealand’s Greenhouse Gas Inventory 1990–2006. Ministry for the Environment, Wellington, New Zealand. Busset, G., Belaud, J. P., Clarens, F., Espi, J. J., Montréjaud-Vignoles, M., & Sablayrolles, C. (2012). Life Cycle Assessment of olive oil production in France. In Proceedings of the 4th International Conference on Engineering for Waste and Biomass Valorisation. A. Nizhou & F. Castro ed, Porto, Portugal (pp. 987-992). Clune, S., Crossin, E., & Verghese, K. (2017). 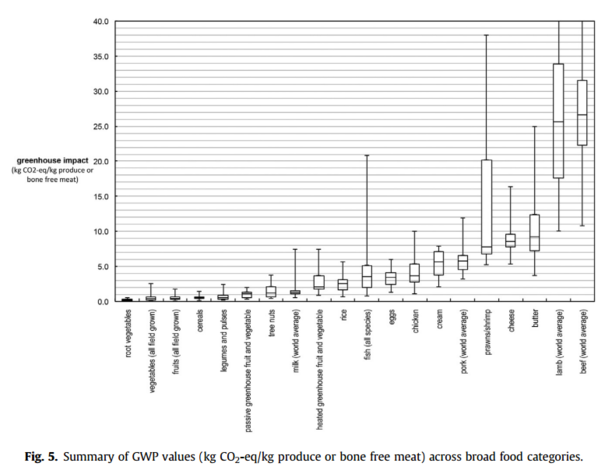 Systematic review of greenhouse gas emissions for different fresh food categories. Journal of Cleaner Production, 140, 766-783. Rueda-Clausen, C. F., Silva, F. A., Lindarte, M. A., Villa-Roel, C., Gomez, E., Gutierrez, R., ... & López-Jaramillo, P. (2007). Olive, soybean and palm oils intake have a similar acute detrimental effect over the endothelial function in healthy young subjects. Nutrition, metabolism and cardiovascular diseases, 17(1), 50-57. Buckland, G., Travier, N., Barricarte, A., Ardanaz, E., Moreno-Iribas, C., Sánchez, M. J., ... & Redondo, M. L. (2012). Olive oil intake and CHD in the European Prospective Investigation into Cancer and Nutrition Spanish cohort. British Journal of Nutrition, 108(11), 2075-2082. Vogel, R. A., Corretti, M. C., & Plotnick, G. D. (2000). The postprandial effect of components of the Mediterranean diet on endothelial function. Journal of the American College of Cardiology, 36(5), 1455-1460. Brack, D., Glover, A., & Wellesley, L. (2016). Agricultural commodity supply chains: Trade, consumption and deforestation. London: Chatham House. Hristov, A. N. (2012). Historic, pre-European settlement, and present-day contribution of wild ruminants to enteric methane emissions in the United States. Journal of animal science, 90(4), 1371-1375. Robinson, T. P., & Pozzi, F. (2011). Mapping supply and demand for animal-source foods to 2030. Animal Production and Health Working Paper, 2. Gerber, P. J., Steinfeld, H., Henderson, B., Mottet, A., Opio, C., Dijkman, J., ... & Tempio, G. (2013). Tackling climate change through livestock: a global assessment of emissions and mitigation opportunities. Food and Agriculture Organization of the United Nations (FAO). Scovronick, N., Dora, C., Fletcher, E., Haines, A., & Shindell, D. (2015). Reduce short-lived climate pollutants for multiple benefits. The Lancet, 386(10006), e28-e31. OECD (2017), OECD Environmental Performance Reviews: New Zealand 2017, OECD Publishing, Paris. Dietary Guidelines Advisory Committee. (2015). Scientific report of the 2015 dietary guidelines advisory committee. Washington (DC): USDA and US Department of Health and Human Services. Fischer, C. G., & Garnett, T. (2016). Plates, pyramids, planet: Developments in national healthy and sustainable dietary guidelines: a state of play assessment. Rome: Food and Agriculture Organization of the United Nations and The Food Climate Research Network at The University of Oxford. Let us happily imagine, then, a future America (2184 AD), in which the impacts from climate change have been sufficiently mitigated in order to allow for a huge population of electric car driving, environmentally-minded plant-based eaters, who now, because of increasing concern over food shortages, collectively decide that it is compulsory for everyone to drink milk- all in the name of squeezing out those last 72 million babies and allowing America to continue growing for the following two decades. Last month we wrote an article that was critical of Grant Schofield, NZ’s Chief Education Health & Nutrition Advisor. This article was mainly centred around climate change misinformation, which had appeared within some of his more recent blog posts. Schofield’s latest post, written in direct response to our article, sets out to defend the LCHF (Low-Carb High-Fat) diet in the climate change debate. We would like to demonstrate just how skewed his arguments have become, and how he continues to misinform his readers. This post became much longer than we initially intended. We ask our readers to employ patience and attentiveness. 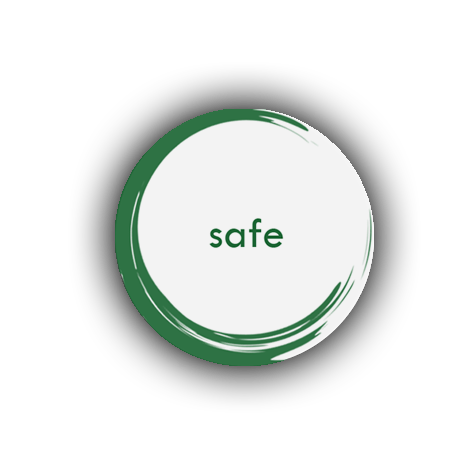 While Schofield’s writing appears to affect its audience through the use of mood and tone, we aim to reach ours by presenting clear and factual information. Firstly, we acknowledge that overall methane emissions from the estimated 50 million bison, elk, and deer in the pre-settlement era were likely to be considerable: approximately 86% of current methane emissions attributable to ruminants in the US, according to one study (albeit accompanied by a disclaimer from the authors that the estimate should be treated cautiously) . The US, though, represents just a 5.6% share of the ~1.6 billion cattle that exist on the planet today . In the last fifty years alone, 550 million cattle have been added to our planet, along with 17.8 billion chickens, pigs and sheep . Worldwide meat production has tripled over the last four decades and increased 20 percent in just the last 10 years . Due to both increasing population numbers and changing dietary patterns, global production is set to continue rising . We wish to emphasise that using the bison argument in order to discredit present day methane emissions from livestock is neither ‘reasonable’ nor ‘climate aware’, as Schofield suggests, but is in fact irresponsible, and perhaps even reflective of an ‘ideological agenda’. It should be recognised that climate change itself has no borders- global average surface temperatures have risen considerably and are set to continue doing so. This demands immediate global attention from all relevant sectors. Lowering methane emissions through a considerable reduction in ruminant consumption is particularly relevant for planetary health. Methane is a potent greenhouse gas with a relatively short lifespan- its curtailment can lead to more immediate climate change benefits. We should also remember that reducing emissions from animal agriculture will lead to reductions in longer lived climate pollutants (CO2, N2O, etc) as well- livestock agriculture is responsible for 44%, 5%, and 53% of annual anthropogenic NH4, CO2, and N2O emissions, respectively [14,15]. This explanation is confusing, at best. First of all, we wonder if ‘less likely to be harmful’ is really what people are striving for when they seek to improve their health through dietary choices. Would it not be more appealing to base our meals around foods that are cardio-protective- working against the development of vascular disease with each and every mouthful? From a nutritional perspective, whole food, plant-based eating patterns (when practised correctly) are relatively low in both total and saturated fat, and either low in or free of cholesterol, while providing essential fat from whole foods. Of course, we all know that overall eating patterns are more relevant to cardiovascular health than are individual nutrients. Protection from whole plant foods stems from omega-3 fatty acids, antioxidants, phytochemicals, an abundance of fibre, and plant protein (animal foods and oils, conversely, are not fibre sources and contain just a small fraction of the antioxidants found in plants). Just FYI: oils of any kind are processed, refined foods that provide us with little more than concentrated fat, and that have actually been shown to impair arterial functioning in the period following a meal (extra-virgin olive oil here included) [5-7]. Regarding palm oil, there is no doubt that its demand has skyrocketed recently, mainly because of its use within highly processed snack foods (everything from chocolate, biscuits, and ice-cream to margarine and pizza dough). This is an important driver of tropical deforestation, and it has serious climate impacts. People can certainly take a stand against the industry by eating less processed junk foods or, better yet, none at all! Just FYI: a whole foods plant-based eating pattern attempts to minimise or eliminate the intake of highly processed foods (whether they be sugary, fatty, or sugary+fatty), as well as the consumption of oils in general. We also thought it was simply worth mentioning that, on a global scale, just four commodities drive the majority (over half) of the world’s tropical deforestation- these include beef, soy, palm oil, and wood products. Of these, beef has by far the largest impact- responsible for more than twice as much deforestation as the other three combined . Meanwhile, 70-75% of the world’s soy is used as feed for cows, chickens, pigs, and farmed fish . The second part of the study gets a little bit more complicated, bringing ‘carrying capacity’ into consideration. Carrying capacity, which in this case refers to the maximum number of people that the US agricultural land base could feed, cannot be estimated by simply dividing the total available land area by the area of land required to feed one person. This is because there is significant variation in the type of land that exists and the sorts of food that can be grown on it. For instance, while some land is not suitable for growing crops, it might otherwise be used for grazing livestock. Various dietary patterns will obviously make use of the available land in different ways, and will, therefore, exhibit different carrying capacities. In this study, it was estimated that, based on current US food consumption patterns, the entire agricultural land base of the US could feed 402 million people. The dietary pattern found to have the largest carrying capacity was a lacto-vegetarian diet, which was estimated to be able to support a maximum of 807 million people. The lacto-ovo vegetarian pattern was found to support 787 million people, while two other semi-omnivorous dietary patterns (consuming meat products within less than 40% of meals) were found to support 752 and 769 million people. The carrying capacity of a strictly plant-based diet was found to be slightly less (735 million people). This is a highly misleading statement to say the least, given that the term ‘environmentally sustainable’ implies the weighted consideration of a range of environmental factors, including land usage, water usage, ecosystem degradation, waste, pollution and, of course, greenhouse gas emissions- the subject that fuelled this debate in the first place. Ten different dietary patterns were modelled within the study. Of these, an entirely plant-based diet had the lowest per capita land requirements (the amount of land required to feed a single person- 0.13 hectares per person per year), closely followed by both lacto-ovo-vegetarian diets (dairy and eggs included, but not meat) and lacto-vegetarian diets (dairy included, but no meat or eggs) (0.14 ha person-1 year-1). The current pattern of eating in the United States was found to have per capita land requirements 8X higher than an entirely plant-based diet (1.08 ha person-1 year-1). Anna is the founder of PBLI and is registered as a dietitian in Canada. She holds a Masters degree in Human Nutrition from McGill University, and is currently an Assistant Research Fellow at the University of Otago, Dunedin. Jon is a founding member of PBLI and a fourth-year medical student at the University of Otago, in New Zealand. He is currently completing an honour's degree focused on eating patterns that are both healthy and sustainable. 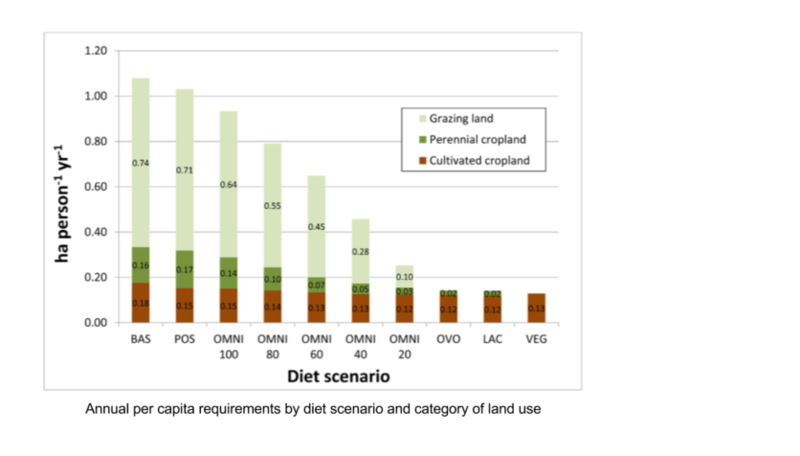 While it is true that grassland soil carbon sequestration is not included within the WHO estimate of global GHG emissions from livestock production (14.5%), the report does indeed provide estimates of its mitigation potential (i.e. its ability to reduce CO2 emissions) on a global scale. It is calculated that, per year, 409 million tonnes of CO2 equivalents could be sequestered globally through improved grazing management practices; a further 176 million tonnes could be sequestered through the sowing of legumes in grassland areas. Combined, the amount of CO2 that could be sequestered in the soil amounts to approximately 8% of livestock emissions globally. In theory, if these practices were implemented, livestock production could be said to account for about 13.3% (instead of 14.5%) of global anthropogenic emissions- an altogether unimpressive dent. Schofield also mentions that the FAO’s estimate of global GHG emissions from livestock production includes deforestation, and describes how this is not a factor here in NZ. Fair enough, but what he fails to mention is that livestock are responsible for 45% of NZ’s total greenhouse gas footprint- an amount equivalent to transportation, energy and industrial sectors combined . This is the highest share in the OECD- in other developed countries, agricultural emissions typically fall at around 12% . This presents us with a serious dilemma that simply cannot be overlooked. Omnivorous Diets More 'Environmentally Sustainable'? It will no doubt be useful to provide some context. The current US population sits at around 320 million people and, according to the latest US Census Bureau population projections, it is expected to reach 417 million people by 2060. 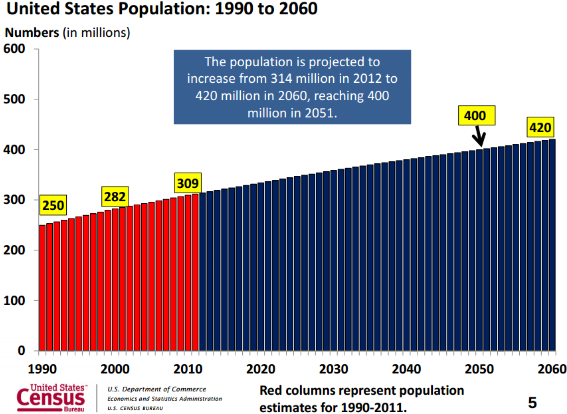 While current projections do not extend beyond 2060, the available data suggest that population growth in the US is, in fact, slowing. Assuming that the projected growth rate in the year 2060 remains constant, the US population would reach 735 million people in the year 2184 (again, 735 million is estimated to be the maximum number of people that could be supported on an entirely plant-based diet in the US). In the year 2204, no more than 20 years later, the carrying capacity of the US would be reached for a population of lacto-vegetarians (the eating pattern that was found to support the most people). Less food being eaten does not equate to meaningful reductions in greenhouse gases. An LCHF diet (high fat) requires significant consumption of animal products and/or fruit oils (just FYI: production of 1 L of olive oil has been found to emit 6,6 kg of CO2 eq- a relatively high value compared to the majority of whole plant foods ). In reality, emissions associated with this diet are likely to be on par with, if not higher than, an eating pattern more or less resembling the status quo, particularly if a person still chooses to regularly consume animal foods. On the other hand, eating less animal products (particularly beef- the production of which is the most GHG intensive) will almost certainly equate to a meaningful reduction in personal carbon footprint. Contrary to what Schofield has claimed, a person who chooses to consume plant protein sources (e.g. legumes- beans, peas, lentils) in place of animal protein foods (even in part) can consume an even larger quantity of food while reducing their carbon emissions (consuming ~40X more beans than beef still emits less carbon than beef alone) . Unless you happen to base your entire diet around exotic produce that is air freighted (i.e. pineapple, mango, etc) there is no other single more effective change that you can make to your eating pattern. We would also like to remind our readers that beans, peas, and other legumes (protein-rich plant foods) increase satiety signalling more than animal-based protein sources like meat and dairy. These plant foods contain an abundance of fibre, along with other key nutrients- namely, complex carbohydrate and protein, which serve to create bulk within the digestive system and play a major role in maintaining a healthy and appropriately controlled appetite. In our last article we criticised Schofield’s decision to reference a blog post by Zoe Harcombe as a reliable source of climate change information. For those requiring a recap, Harcombe’s article aimed to dismiss recent red meat-related health and environmental warnings, including one from NZ Professor John Potter in a BMJ editorial (discussed here). We congratulate Harcombe for now having a PhD. The point is that, in the past, she lied about being enrolled in a doctoral programme. Sure, this was disappointing to discover, but it was just one of the reasons why we chose not to address the contents of her post (Schofield declares this to be an ‘ad hominem dismissal’). 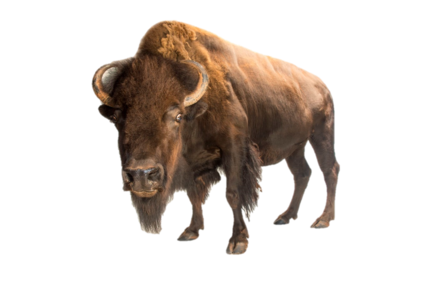 Firstly, Graham Harvey, the ‘expert in sustainable agriculture’ quoted by Harcombe, makes reference to the 60 million bison that once roamed the North American plains. This widely perpetuated argument, which Harcombe uses as the foundation of her defence against Professor Potter’s discussion on methane emissions, is based simply on the idea that methane-emitting animals existed long before climate change did. We did not consider it worthy of rebuttal at the time, but since Schofield is now saying that Zoe’s arguments ‘seem obvious’ to him, we will briefly discuss them. 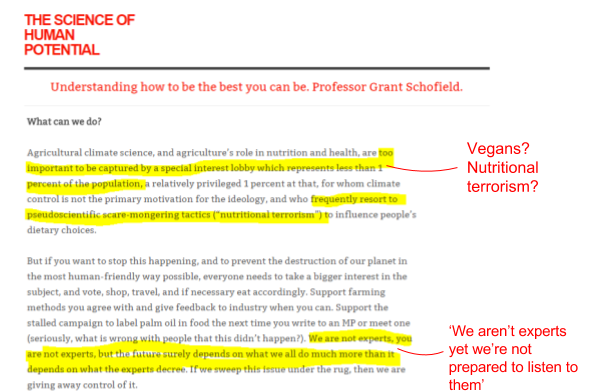 Another reason for choosing not to discuss Harcombe’s ‘climate aware’ blog post is because within it she accuses Professor John Potter of having an undeclared conflict of interest- that being, vegetarianism. Can the authors, on the one hand, agree with the scientific consensus on climate change (that being that it exists, is caused by humans, and is set to continue and even worsen considerably), while essentially dismissing the myriad of international publications that now identify the profound and detrimental climate (not to mention land and water resource) impact of present-day animal agriculture? . Of course the future depends on what we choose to do, collectively, as a society. Would it not seem pseudo-scientific to simply ignore a body of evidence that is sound and clear in its conclusions? These are some rather profound statements. In reference to a ‘special interest lobby’, we assume that the authors are talking about vegans, who make up about 0.5% of society today. We do not deny that vegans may be conjuring up sound arguments in support of their cause, but we really ought to step back and consider where the strongest and most effective lobbying efforts are coming from- not from vegans, or ‘experts,’ but from the food industry, which manages to inject itself into political spheres in order to affect legislative and policy outcomes. Perhaps the 1% that Schofield ought to be referring to includes the wealthy owners of massive food corporations. These companies, of course, have a strong bottom line, and they cater to shareholders and exist solely for profit. Perhaps one of the best, and more recent, examples of lobbies wielding their power took place during the development of the 2015-2020 Dietary Guidelines for Americans, which are hugely influential around the world. For the first time in history, the Dietary Guidelines Advisory Committee (the expert panel responsible for providing the evidence base to inform the guidelines themselves) recommended implementing sustainability objectives, which would expand the traditional focus of the guidelines in order to consider the environmental impacts of our food choices. The committee concluded that eating patterns higher in plant-based foods and lower in animal-based foods, as compared with the typical Western diet, are better for both human and environmental health . These statements were cause for considerable backlash from the food industry, which has a strong voice in political decision-making; fierce lobbying efforts on behalf of meat producers, in particular, sought to discredit findings, and sustainability considerations were argued to be ‘outside the scope of the guideline’s legal mandate,’ a sentiment that was echoed by the US Secretary of Agriculture and that ultimately led to the exclusion of sustainability (and therefore of evidence-based recommendations to lower meat intake) from the 2015 Guidelines . Obviously, there is a considerable amount of money at stake when it comes to messages within these guidelines, and the science itself is simply not adequately reflected within. FYI: the expert committee also recommended limiting sugar-sweetened foods and drinks, and refined grains- in the end, the recommendation to lower sugar-sweetened beverages is not made explicit within the guidelines, and we would argue that limits set for sugar-sweetened (processed) food intake are simply not strong enough. But that is just America, right? Not so: similar efforts in Australia were met with public campaigning/lobbying by food industry groups- leading once again to the exclusion of sustainability from the official guidelines on the grounds of their being outside the intended scope. The country did succeed, however, in developing a sustainability appendix for inclusion within the final version of its 2013 Australian Dietary Guidelines . Swinburn himself, along with two other public health researchers, began fighting back against both insults and efforts to discredit him. 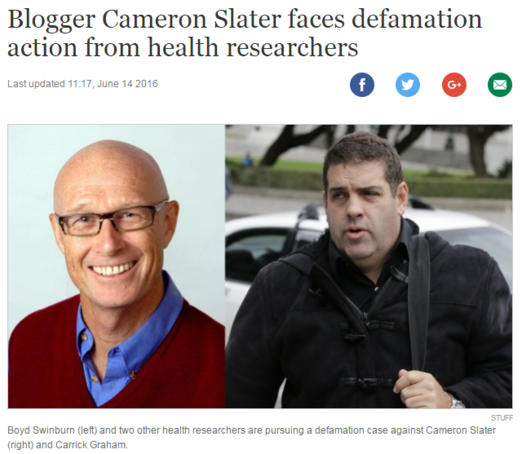 In 2016, they decided to sue NZ blogger Cameron Slater (remember Nicky Hager’s Dirty Politics?) and PR consultant/tobacco industry lobbyist Carrick Graham over material that had been posted on Slater’s WhaleOil blog- wherein public health advocates/experts were apparently referred to as ‘troughers, wowsers, and bludgers’; their opinions likened to ‘insanity, greed, or delusion’. The legal process is still ongoing. Needless to say, industry itself has played a major role in subverting scientific opinion. It has interfered with national policies in a way that most independent experts (let alone vegans) could never dream of. There are a few major players, and we would suggest that recognising their contribution to the distortion of information and policy relating to food choices is crucial. This brings us to our final point: we are quite simply disappointed by Schofield’s reference to ‘experts’ (here and elsewhere) who supposedly get in the way of people making the right choices. While it’s certainly acceptable to stimulate debate and to challenge the status quo, waving a flag against expert opinion, and encouraging others to follow suit, is by no means a constructive response. People should no doubt support farming/production methods or health movements they agree with, but this support should be based on a firm understanding of the environmental impact associated with those practices, not to mention the health impact (exploring expert scientific opinion and evidence is unavoidable, in other words). 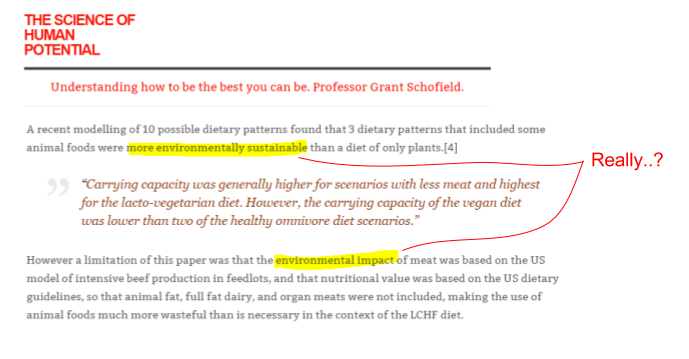 The main point here is that Schofield’s choice to use this study in the first place, and then to misrepresent its findings for his readership by suggesting that it provided any meaningful representation of environmental sustainability, is an obvious example of bad science. Either the research has not been properly understood or it has been deliberately misreported. 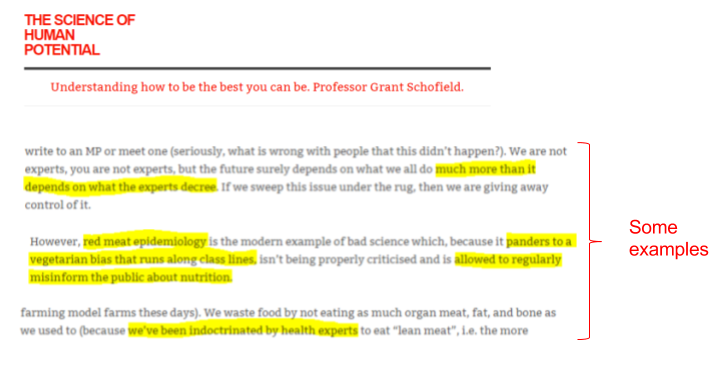 We are not sure which is more concerning, especially considering that Schofield is a public health professor who apparently places much importance on enhancing public understanding of the nutrition literature. 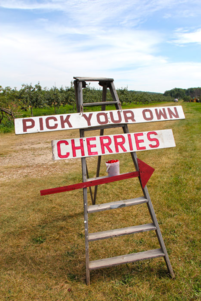 Not only has Schofield gone out picking this time, he hasn’t even found a ripe cherry. A plant-based eating pattern has been demonstrated, time and again, to be more environmentally sustainable than other eating patterns.